Ms. Hartzell is the current president of the Coalition of Women’s Initiatives in Law and has been a member of the organization’s Board of Directors since 2008. Ms. Hartzell is also an active member of the Richard Linn American Inn of Court, an organization focused on professionalism and civility in intellectual property law, and a current member of the Damages and Injunctions Committee of the Intellectual Property Owners’ Association. 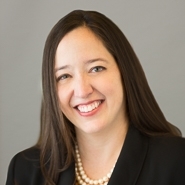 At Marshall, Gerstein, & Borun LLP, she was a founding member of the Firm’s Diversity Committee, serves on the Pro Bono Committee (which named her Pro Bono Partner of the Year in 2011), and is the chair of the Recruiting Committee.